Click here to read our quarterly Explorations Magazine to find out what’s happening at the museum. The Museum’s Mobile App allows visitors to explore 10 exhibit areas in the Museum: Discovery Center, EcoScapes, Go Green, Storm Center, Prehistoric Florida, Otters at Play, Gems and Minerals, To Fly, Powerful You and Gizmo City and includes augmented reality and video experiences. The App also provides useful information about the Museum and AutoNation IMAX Theater including a virtual tour. The App was created by Broward County high school students as part of APP-titude, the Museum’s two-year internship for high school juniors and seniors. The project was funded by United Way of Broward. The mobile app is available for both Apple and Android platforms. 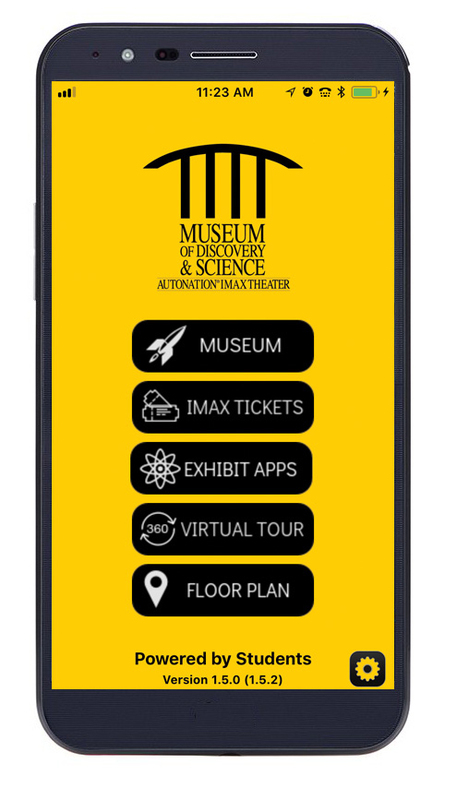 Download to your phone or tablet from the App Store and Google Play by searching for “Museum of Discovery & Science”.